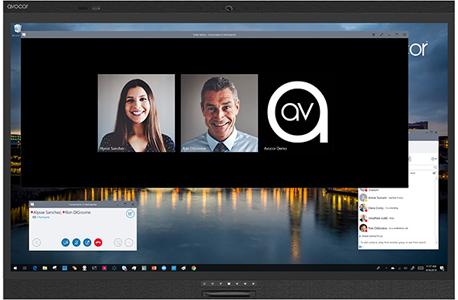 The new Windows Collaboration Displays by Avocor run regular Microsoft Windows 10 software and deliver the power and productivity of Microsoft 365. This makes them ideal for today’s teamwork environments, they offer teams new ways to connect, collaborate and get more done. Precise pen and inking capabilities, integrated cameras, stereo speakers and far-field microphones enable people to easily use all Microsoft 365 collaboration tools – from Windows and Office to Microsoft Whiteboard and Microsoft Teams – at room scale and all backed by the intelligent cloud. Talk to our experts on 020 8296 7399 or you can request a call back using the simple form below.